If the s/h fee doesn't cover priority mail, it will be ship with first class mail. All Item on this page is final sale, no exchange or return. International buyer: Please purchase the sale item/s before it's gone, we will email you for s/h fee options. Tunic as seen on picture. Fabric:m stretch gold brown geometric. 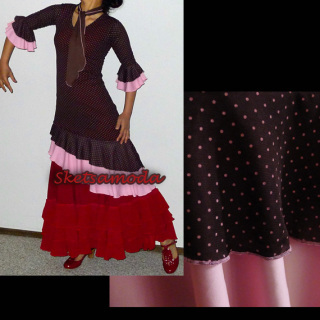 Great for class , simple show or wear it with your jeans for casual/going to your friend's flamenco show. 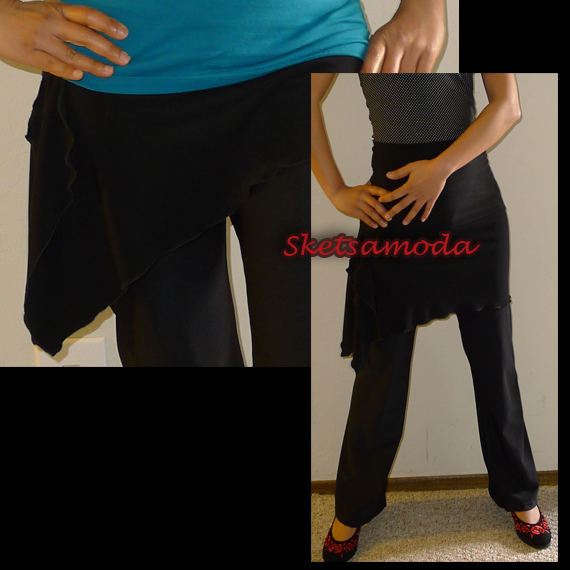 Short skirt, great for casual/dance. For flamenco dancer who would like to focus on foot work in class/rehearsal, please wear it over your tight/yoga pant. The waist band is fold able to adjust necessary length. Great as over pant casual wear or beach wear. 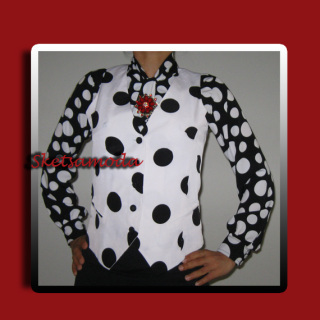 Tunic as seen on picture. scarf is not included. This list is for the vest only. The brooch pin and inner top can be purchased separatetly. 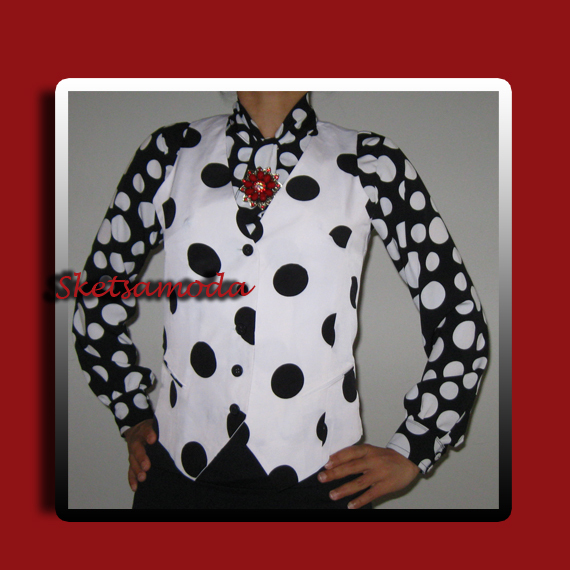 The vest has two imitation/fake pockets. On the back, there is a buckle to adjust the waist area. We have limited stock of the vest and first buy first served. If the item no longer available we will refund your payment. Available size: XS,S,M (the chest is run smaller). This list is for the vest only.